September | 2015 | The Glyn Watkins Show Page. 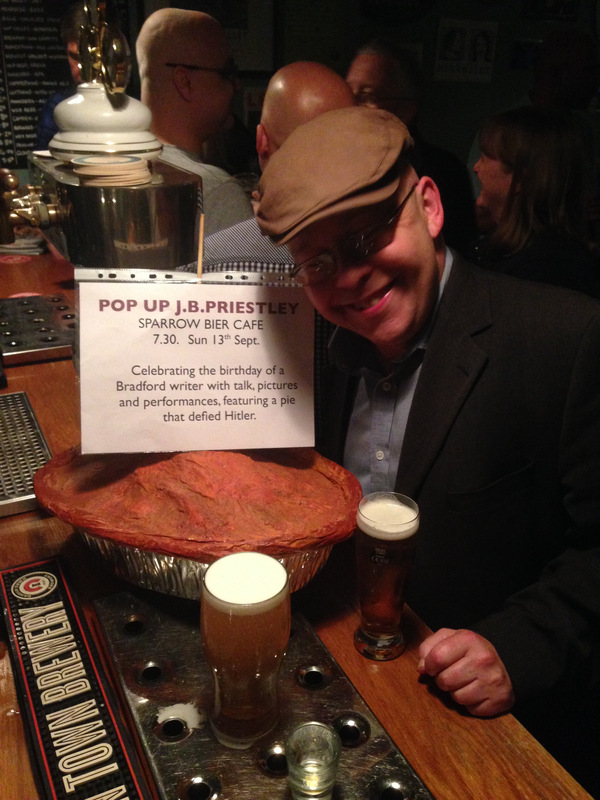 After some venue issues I am taking my annual celebration of J.B.Priestley’s birthday (and my own) and a pie that defied Hitler to my old friends at the Sparrow Bier Cafe, North Parade, Bradford BD1 3HZ. this Sunday. It will be downstair, with projected images, and a collection. Because of the nature of the space it will be a short show (probably 30 minutes or so) which I may repeat later, around 20.30; or I may do a bunch or my own stuff; or I may just drink and talk loudly on random subjects, for a change!